This is my second post in my series about toilet paper. If you’d like to read a summary of all of my toilet paper findings, check out my ultimate guide to cheap toilet paper. First, I looked at the cheapest Cottonelle toilet paper. Now, it’s Charmin’s turn! 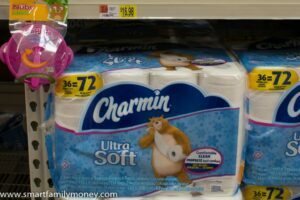 Let’s find out where to get the best price on Charmin toilet paper! I love my Charmin! You’ll never convince me to switch! 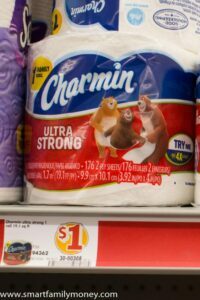 If you’re open to trying out some generic brands instead, you may want to check out my post on the best value in toilet paper. Note that the local prices I’m quoting are near Cleveland, OH. I’m sure prices vary by region, but the comparisons will likely still apply. The first thing I discovered is that Charmin has MANY different roll sizes, package sizes, and even sheet sizes. 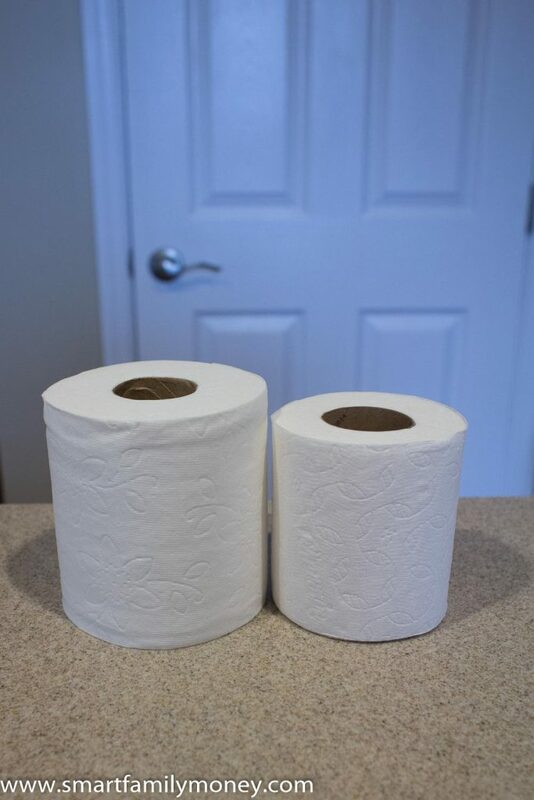 Wouldn’t you think that every sheet of Charmin toilet paper is the same size? I did, but they’re not! Most are 4″ wide x 3.92″ long, but the Charmin Ultra Soft sheets from Costco are 4.5″ wide x 4″ long. The Charmin rolls came in so many sizes! What in the world?! If I were a skeptical person, I’d think the Charmin folks were trying to confuse people. It’s like they don’t want you to know how much you’re really paying! If all the sheet sizes were the same, I could easily compare prices between stores by looking at the price per 1,000 sheets. Since Costco has a different sheet size, to get a truly fair comparison, I would need to compare square footage as well. Many people say they’ll use the same number of sheets regardless of the width of the sheet, so square footage may be irrelevant. To keep things simple, I’m going to ignore the square footage difference. Walmart and Target both carried a package of 36 rolls in 2017 that look VERY similar until you read the fine print. In 2018, they changed their packages, but again, they’re confusingly similar. Next, I checked at the grocery and dollar stores around my area. 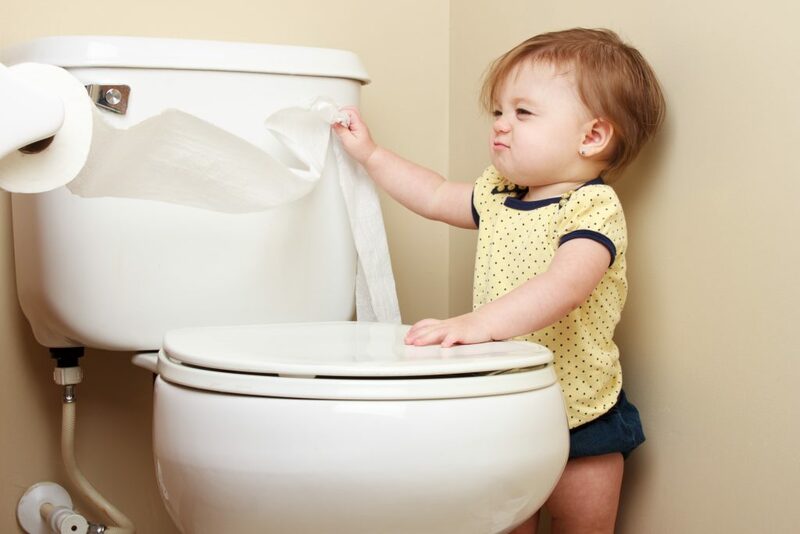 Grocery stores, drug stores, and dollar stores are ALMOST NEVER the best places to buy toilet paper. Don’t be fooled by grocery store sale prices! They’re rarely a good deal. Unlike Costco, Sam’s Club carries both varieties of Charmin with standard size sheets. 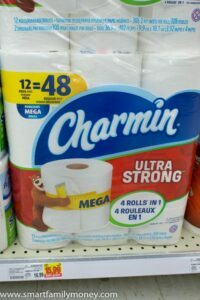 Charmin Ultra Strong, 30 rolls of 286 sheets each for $28.48. Charmin Ultra Soft, 36 rolls of 208 sheets each for $22.98. 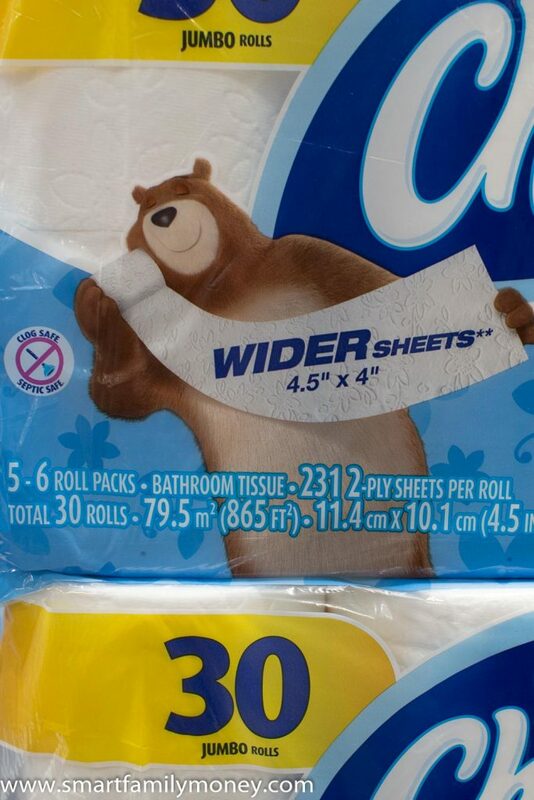 They also carry Charmin Ultra Soft, but the package sizes are different. After searching the web, I found that Amazon.com had one of the best online prices. 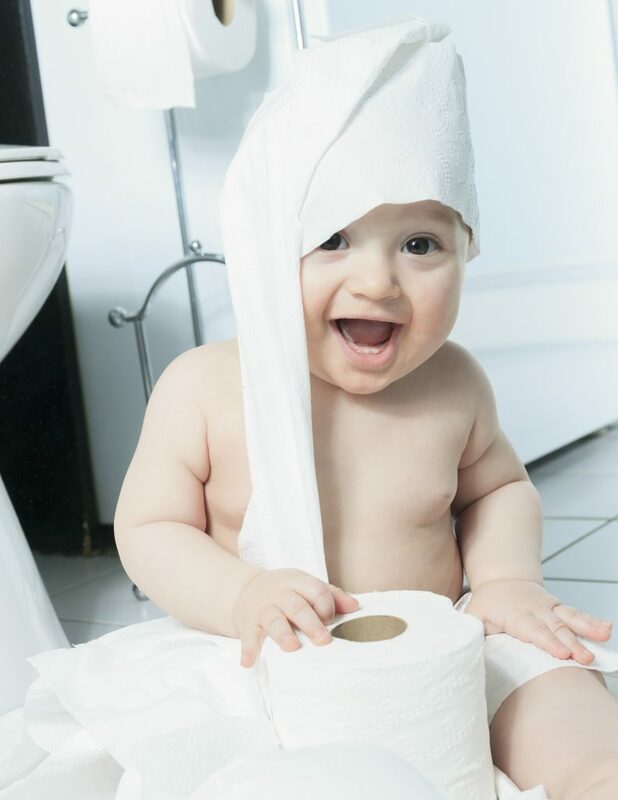 24 Family Mega Rolls (363 sheets) currently priced at $31.49 or $29.92 with subscribe & save. There is currently also a $1 coupon for these packages. 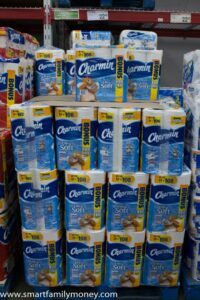 In my discussions about toilet paper with people, many complained about the fact that Costco only carries Charmin Ultra Soft. 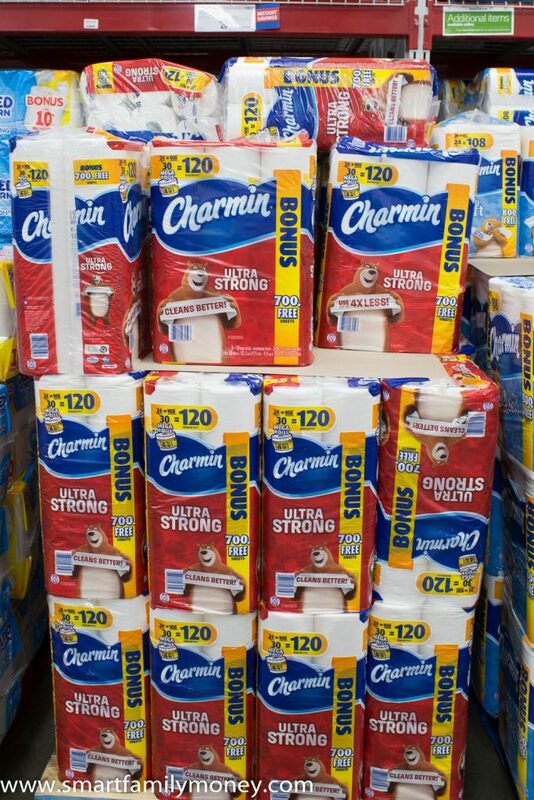 There are many Charmin Ultra Strong lovers who are unhappy with Costco! Costco is also the only place that offers larger sheets, as explained above. This means that the cost comparison could be a bit different I calculated with square footage instead of price per sheets. 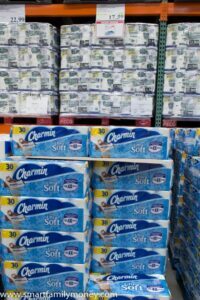 Costco Charmin Soft regular price: $22.49 for 30 rolls of 221 sheets each. Apparently, the bear likes the bigger sheets? What Is the Charmin Freedom Roll? You may have heard of the new Charmin Freedom Roll. It’s one GIANT roll of Charmin Ultra Soft toilet paper that is supposed to last around a month without changing the roll. 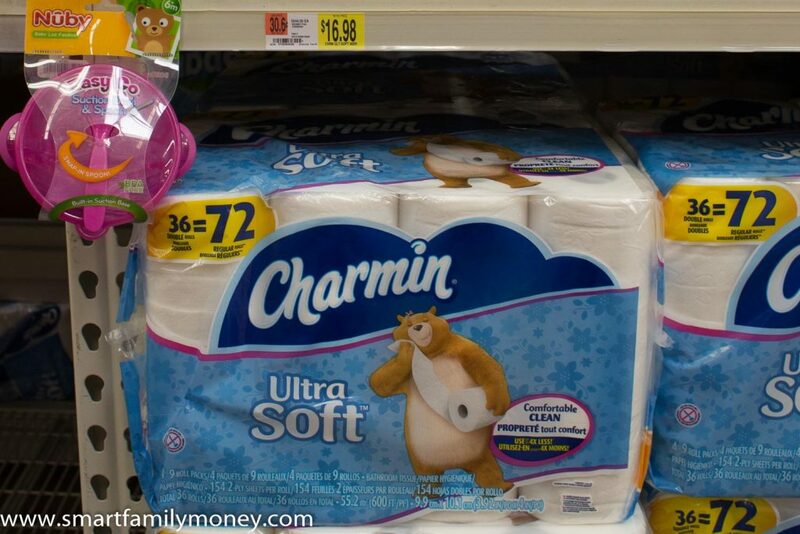 The Charmin Freedom Roll may be convenient, but does it save money? I’ll include it in the comparison below to see if this is a good price. Wow, that is a whole lot of numbers! So what does it all mean? 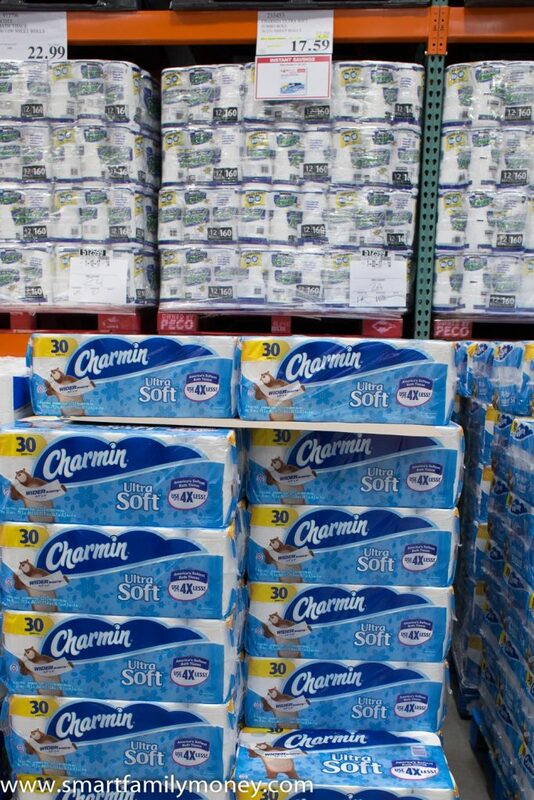 Where should you buy your Charmin if you don’t want to go chasing after sales and coupons? 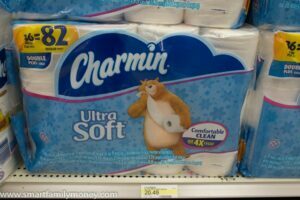 The price ranges for Charmin are not as large as when I looked for the cheapest Cottonelle toilet paper. Still, you can definitely save some money by not buying your toilet paper at the grocery store or drug stores. A wholesale club is the best option, but Amazon, Walmart, and Target are good too. 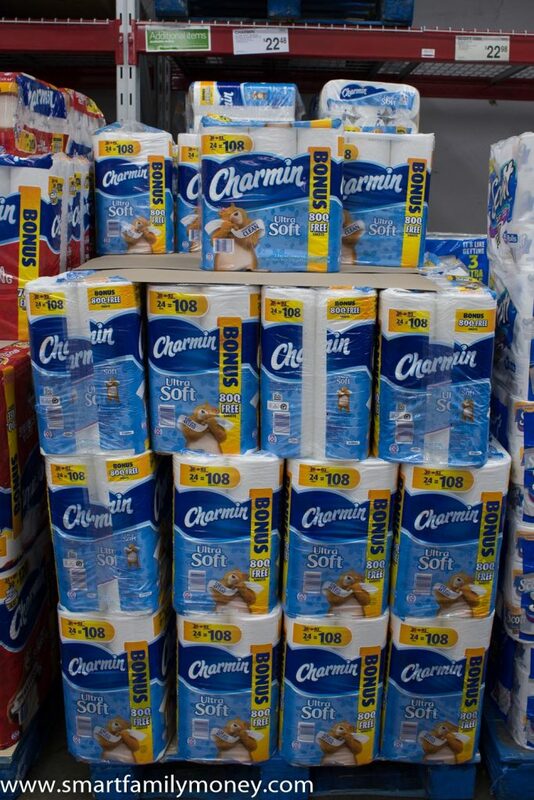 It wouldn’t be worth buying a club membership to only get the best price on Charmin toilet paper. The savings are not big enough to justify the membership cost alone. Of course, there are plenty of other things that you could save money on at warehouse clubs. Is the Charmin Freedom Roll Worth It? I was very surprised to see that the Charmin Freedom roll is VERY EXPENSIVE. It costs more than buying your TP at the drug store! Even using the subscription option does not make Charmin Freedom roll a good deal. Do you love Charmin toilet paper? Where have you found good prices? 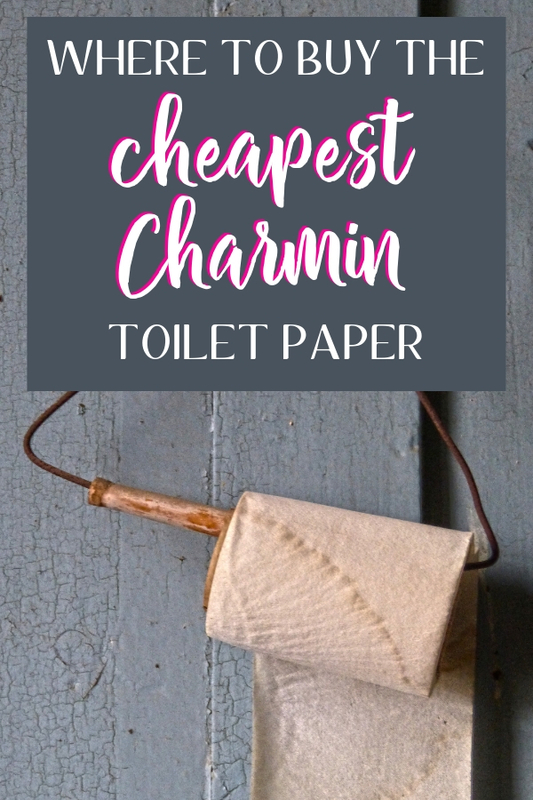 If you’d like to read more about saving money on toilet paper, please check out my ultimate guide to cheap toilet paper. Thank You so much for all this work! I was just telling my family I thought I needed to investigate this concern ! My husband has noticed the different size rolls and got us to thinking., You have this very understanding and I Wanted to take the time to let u know! Merry Christmas! Glad I could help! Merry Christmas to you too! Thanks Cindy! Great website. Appreciate all your efforts. 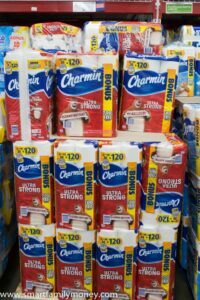 I refer to this page often when I shop for toilet paper, and today (3/22/19) I went to Costco and found 6930 sheets of Charmin Ultra Strong for 17.99 (on sale)! That’s 2.60/1000 sheets. Please update your page since it shows up so prominently on searches and spread the good word! Wow thanks for the sale info!